I've been wanting to pick this up simply to see what all the hype was about. Afterall, the four shades look extrememely dupe-able and not very special at all. But that's where the appeal comes from. There are two matte colors and two shimmery colors which are all smooth and finely milled. The matte colors are quite pigmented and blend amazingly well. The bronze shade is BEAUTIFUL. 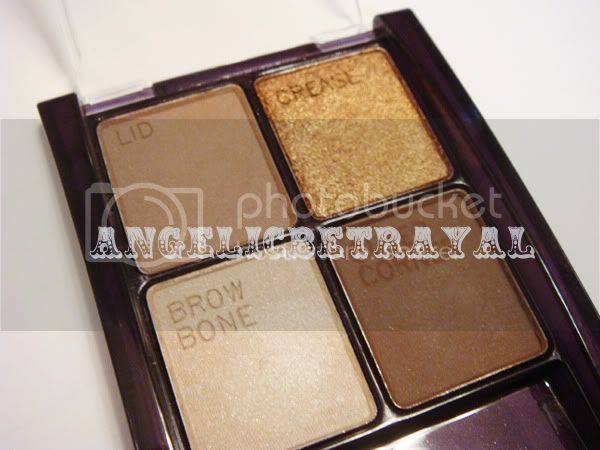 It is a very high quality shadow and adds a bit of drama when paired with the other shades in this quad. The light shade is an off white beige with pretty shimmers. 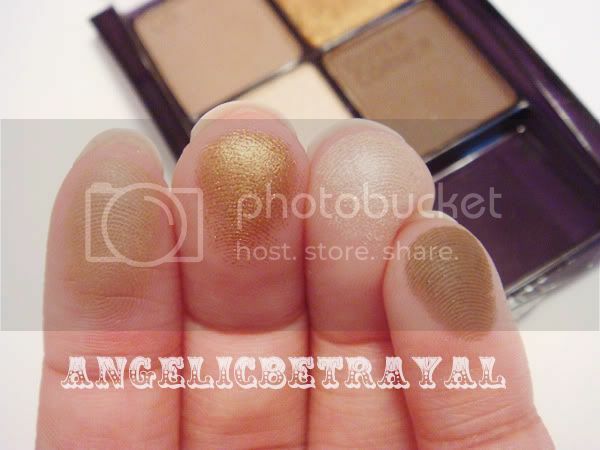 Although its not extremely buttery or pigmented, it's still great for an inner corner highlight! Like all Maybelline Expertwear quads, there are labels that tell you where to put the colors and although many people find this helpful, I think it can inhibit many people from trying new combinations with their makeup. Personally I do not put matte colors on my lid so I usually put the browbone shade (shimmery beige) on the inner half of my lid followed by the bronze color on the rest of the lid. I use the lighter matte shade to blend in the crease and the darker matte to define my outer corner. I love mixing together the matte shades to fill in my eyebrows =) I use them every morning. Otherwise, I don't really use the quad. The copper color's too much for school, and the highlight isn't pigmented enough for my tanned skin. Nonetheless, I love this quad.